The Glossop car hire fleet ranges from small economy cars to 7 seater family vehicles. We also offer options of diesel and automatic hire vehicles. Glossop Car & Van Hire is open Monday to Saturday (closed Sundays) and also offer you an ‘out of hours’ service. Bank Holidays can be catered for by prior arrangement. We hire vehicles out to businesses, families and tourists exploring the High Peak or visiting friends and family. 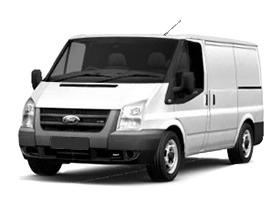 We offer cars, vans and minibuses at very competitive rates. Our car hire fleet includes Hondas and Chevrolets and our van hire fleet is mostly Ford Transits and Mercedes Sprinters. A free ‘meet and greet service’ is available if required. Visitors arriving by train or coach can be met at the arrival point at Dinting, Glossop or Hadfield Railway Stations or alternatively Glossop Coach Station. Continental Hire to mainland Europe is also possible, van hire to France is a popular request. As part of a national group we are able to offer you one way vehicle hire – from Glossop to anywhere in the UK. Glossop Hire also specialise in the long term hire of our vehicles. Call now for details on 01457 851500. Car, Van & Minibus Hire – Glossop, Buxton, Whaley Bridge, Chapel-en-le-Frith, New Mills, Poynton, Bramhall, Hazel Grove, Marple, Stockport, Denton, Hyde, Tameside, Romiley, Audenshaw, Dukinfield, Aston-Under-Lyne, Stalybridge, Mossley, Manchester, Failsworth & Oldham.